Fiber is a term that is gaining an incredible amount of attention, especially in recent years where weight loss strategies, guides and supplements are becoming more popular. The world is facing an epidemic in regards to obesity, with about 13% of all adults worldwide being obese, according to the World Health Organization. 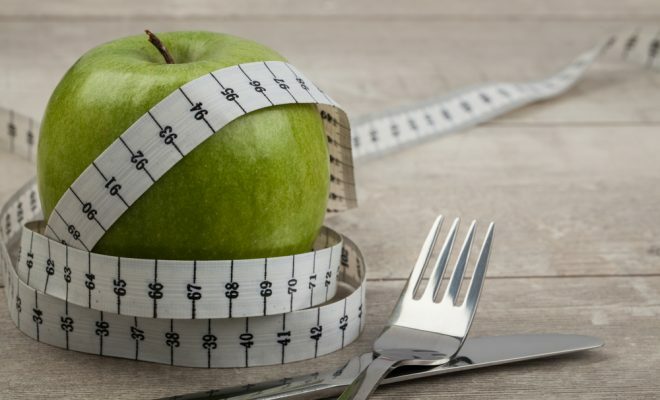 With this in mind, as well as the numerous adverse effects that obesity has on the human body and on an affected individuals wellbeing, medical experts are constantly on the look for ways to help the worldwide obese population reduce their weight and live healthier lives. When you take a look at some of the most recent publications, guides and supplements out there that explains how to lose weight, you would notice that the term “fiber” is used quite a lot. 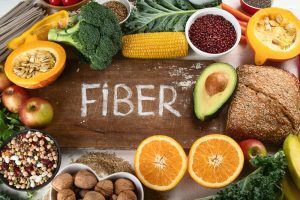 In this guide, we would like to take a closer look at what fiber is, how it works and what fiber is good for weight loss, since there are different types of fiber and not all of them are really effective for people trying to reduce their bodyweight. Why Is There A Concern About The Many Obese Individuals? Firstly, we should concentrate on the fact that the world has declared obesity as a global health epidemic – and consider why exactly such a big focus is placed on the fact that millions of people are obese. The effects that obesity has stretches to both the physical appearance of an affected person; thus affecting the way they see themselves and the way they feel about themselves, as well as the wellbeing of the affected person. When it comes to health, obesity can cause a person to experience a significant reduction in their quality-of-life, and lead to both physical and mental problems. 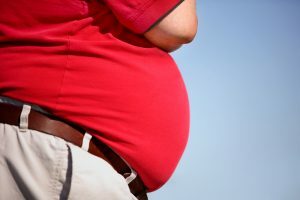 While a person may find that their self-confidence is affected by the fact that they are obese, it should be noted that the health effects that obesity causes need to be considered the primary concern here. The Centers for Disease Control and Prevention explains that obesity has been linked to all causes of mortality – this means that being obese can contribute greatly to many diseases that may cause a person to pass away at a premature age. Some particular conditions that are commonly associated with obesity include heart disease, hypertension, type 2 diabetes, osteoarthritis, sleep apnea, breathing problems, gallbladder disease and cholesterol problems. Medical experts have also established that obese people are at a higher risk of having a stroke, as well as developing cancer within their breasts, kidneys, colon, liver and gallbladder. What Is Fiber And How Does Fiber Help The Body? The majority of diet plans and healthcare guides that specifies techniques to assist a person in losing excessive amounts of bodyweight often describes that dietary fiber foods are very important for weight loss, but they often fail to mention what type of fiber a person should include in their diet, as well as provide detailed information about what fiber really is and how fiber helps the body reduce its fat percentage. LiveScience explains that fiber is a nutrient that is found in certain types of plants. It can also be called bulk and roughage. They continue to explain that fiber is a carbohydrate, but it is not the same as other types of carbohydrates that we can consume through food. Instead of being broken down into sugar molecules, fiber usually remains intact to some degree during digestion. On its way throughout the gastrointestinal tract, fiber performs various functions – and this is where its benefits come in. It is important to realize that not all fibers are the same. In general, fiber can be divided into two major types, being soluble fiber and insoluble fiber. Soluble fiber is types that can dissolve in water, while insoluble fibers do not dissolve in water, but rather remains relatively intact while passing through the gastrointestinal tract. Both of these types play an important role in the wellbeing of the digestive system. Soluble fiber includes mucilage, gum and pectin. Insoluble fiber includes cellulose, lignin and hemicellulose. Healthline explains that, while both types of fiber are beneficial to the digestive system and have their own particular functions that are important, only certain types of soluble fiber seems to play a significant part in assisting a person with reducing their excess fat in the body and losing weight effectively. They continue to explain that the most beneficial type of soluble fiber that assists with weight loss is called viscous fiber – this fiber helps to reduce a person’s appetite, which helps the person eat less without having to starve themselves or particularly try to reduce their food intake. What Are The Benefits Of Fiber In Your Diet? Dietary fiber benefits the body in multiple ways. Even though it has been found that only certain types of fiber are able to truly assist with weight loss by reducing food intake and improving appetite control, other types of fiber help the body in many ways to further improve weight loss, as well as overall wellbeing. Digestive Health – This is the most commonly known benefit of fiber. A high-fiber diet is known to help improve digestive health by improving the flow of foods and waste throughout the digestive tract. This, in turn, helps to create regular bowel movements also is also great for avoiding and treating constipation. Reduced Risk Of Digestive Diseases – Some scientific studies have found that regular intake of high-quality fiber helps to reduce a person’s risk of developing certain digestive diseases, including hemorrhoids, colitis and colon cancer. Better Heart Health – There is also evidence that a high-fiber diet helps to reduce levels of cholesterol in the bloodstream, which is a good way to support heart health and also fight against the development of common heart-related diseases. Useful For Diabetes Patients – Further evidence supports the fact that fiber assists with improving digestion in such a way that the body requires a lower amount of insulin to process glucose. This is mostly because fiber helps to slow down the rate at which sugar is absorbed, which helps to stabilize blood glucose levels in turn. In addition to these benefits, it should also be noted that, since fiber is not actually absorbed into the human body, it also means that high-fiber foods add fewer calories to a person’s diet. This is also an additional way in which fiber contributes to better weight control and, amongst obese individuals, toward more effective weight loss measures. A high-fiber diet is often recommended to people who are trying to lose weight, but little information is ever provided regarding the different types of fiber, as well as what fiber is good for weight loss. This can lead a person to consume the wrong types of fiber, which may not be as beneficial for them when it comes to weight loss. In this guide, we explained what fiber is, looked at the different types of fiber, and discussed why fiber is important – not only for a weight loss diet, but also for any person’s diet, regardless of their weight. ← Previous Story The 10 Best Diets in the World that Will Help You Lose Weight!